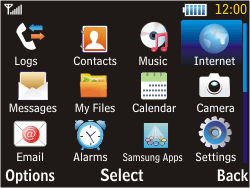 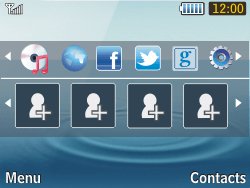 Using the internet with the Samsung Chat 357 offers many of the same possibilities as using it with a PC. Select Internet, and press the Select key. 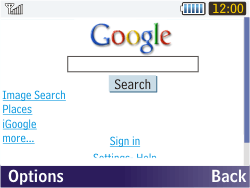 The Samsung Chat 357 will connect to the internet and open BASE‘s homepage. 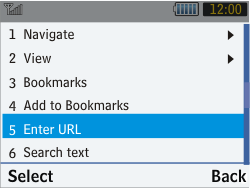 Select Enter URL, and press the Select key. 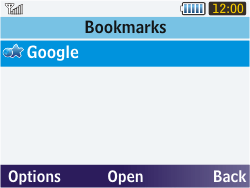 Enter http://www.google.co.uk/, the Google web address for mobile users, and press the Open key to load the website. 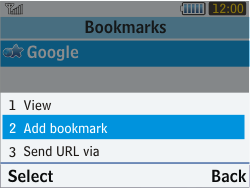 Select Add to Bookmarks, and press the Select key. 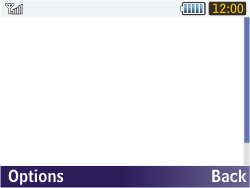 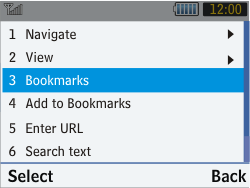 Select Bookmarks, and press the Select key. 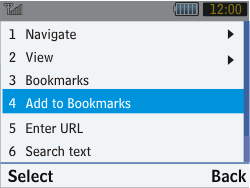 Select Add Bookmark, and press the Select key. 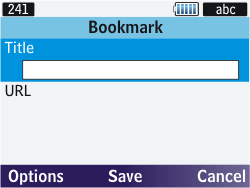 Under Title, enter a name for the bookmark (in this case The Phone Book). 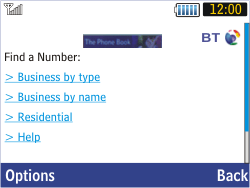 Under URL, enter the The Phone Book web address for mobile users http://www.thephonebook.co.uk/. 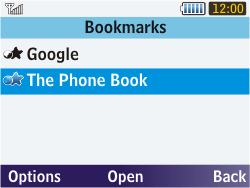 The Phone book bookmark has been added. 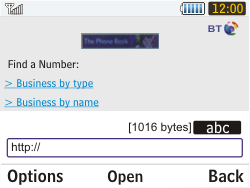 Select The Phone Book, and press the Open key to load the website. 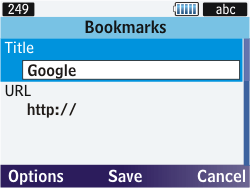 Enter http://uk.m.yahoo.com/p/news, the Yahoo News web address for mobile users, and press the Open key to load the website. 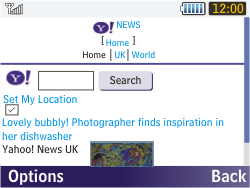 Yahoo News is now available for use. 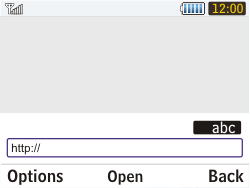 To stop using the internet, select the end call key.